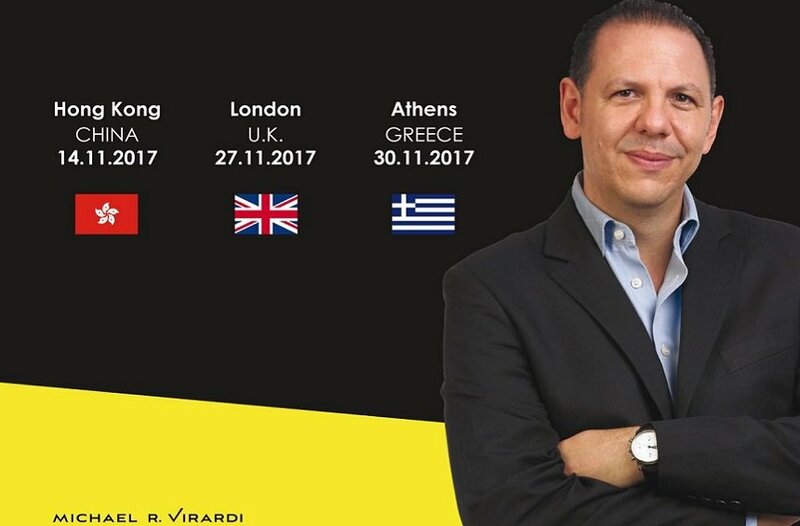 Michael Virardi from Limassol, explains how he became a sought out speaker in the USA and China! You might have heard his name already. He has been around for some years now and his is not a name you can easily forget. But, no matter how much mystery Virardi’s name might inspire, on a personal contact the smile is what makes the strongest impression. 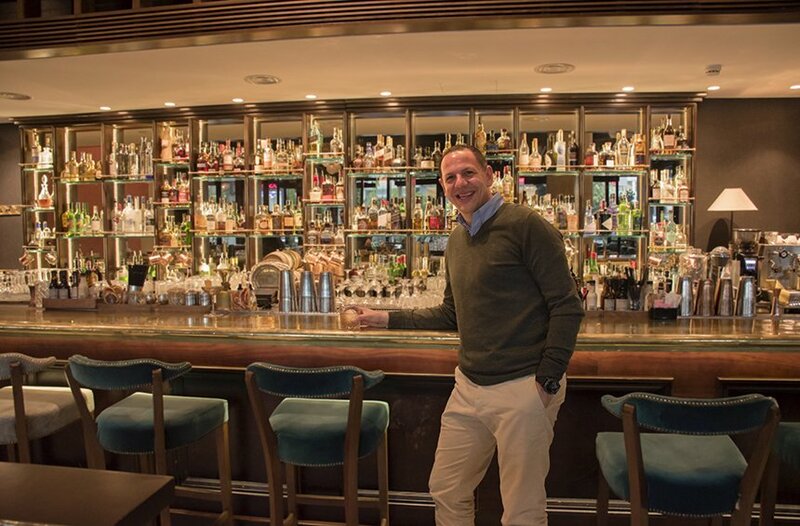 Michael R. Virardi is a Limassolian, with a hint of Italy, who seems to be driven into innovation due to his own DNA. After all, the famous aerial railway (Enaerios), one of the most innovative constructions in the 20th century in the city, is directly connected to his family’s history. Founding a business of international appeal, based in his city, Limassol, Michael works with several innovative ideas, gaining the acknowledgement and appreciation of large companies from Hong Kong to New York. Doing a good job is just part of his success. What really makes him stand out, though, is the way he brings value to his work. This ability of his – to promote those advantages that will make you realize how important something may be – brought him close to a group of well-known Limassolians, who decided to move on with the branding of the city. 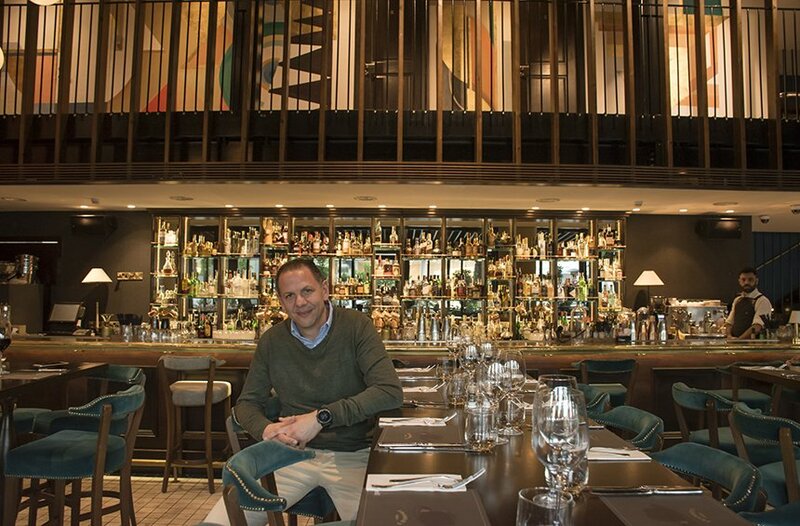 With the same enthusiasm and fervor he puts into his own business, Michael was soon passionately involved in the vision of building the city’s image, in order to showcase its real worth, both in the eyes of foreigners and locals. And when a man, who spends half his time in the largest cities of the world, says the Limassol is “heaven on earth”, the least you can do is find out why. Some 90 years ago, Giovanni Virardi arrived in Cyprus as the engineer that would supervise the construction of the aerial railway, that transferred asbestos from the mine on Troodos, to the Limassol seaside. Michael’s father, Rolando G. Virardi, after studying at the American University of Beirut in Lebanon, a fine educational institution, attended by world and business leaders, returned to Cyprus and went into trading. “His kickstart was based on a 5-pound fund, with my grandfather, Michalakis Kotsapas, as a guarantor”, Michael says, going back to the beginning of his family’s history and catering equipment business. These past few years, Michael goes around the world, being an upcoming speaker in training seminars for business executives and employees. Live broadcasting of the workshops and seminars through social media, from anywhere he may be, is one of his identifiers. Born and raised at Ayias Zonis area, Michael himself, experienced Limassol through the passage to its modern era. The name of the family was already widely known, since the family business was growing year after year. 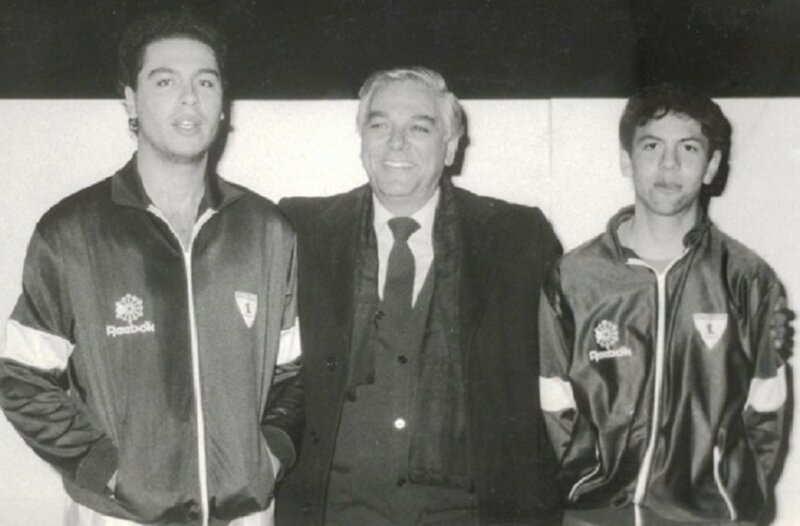 His brother’s activities and achievements, as a member of the National Basketball Team, also accompanied their name. “Someday my grandfather was in the courtroom and the judge asked him to sit down, threatening to punish him if he was standing up, but he was in fact already sitting. That’ s how tall he was”, he narrates. Michael stayed at his father’s company for 15 years. He devoted himself in it with much fervor and he was constantly setting higher goals for himself. Looking for way to improve his work and the business every single day, he started spotting out all those little secrets that would push them further. These secrets became a whole new theory of how things should be operating, which is now the content of his seminars in top companies all over the world. Thus, he created a profession tailored to himself, being a kind of his own in the entrepreneurial world in Cyprus. A trainer, an author, a speaker, as he describes what he does, Michael sure is a unique case of a businessman. “My first mentor was definitely my father. He did not have the theory, though, nor the framework for business”. “I had not been on a holiday or a trip for 4 years. I was devoted to the accomplishment of my goals”, Michael says, as he recalls his course until this day. 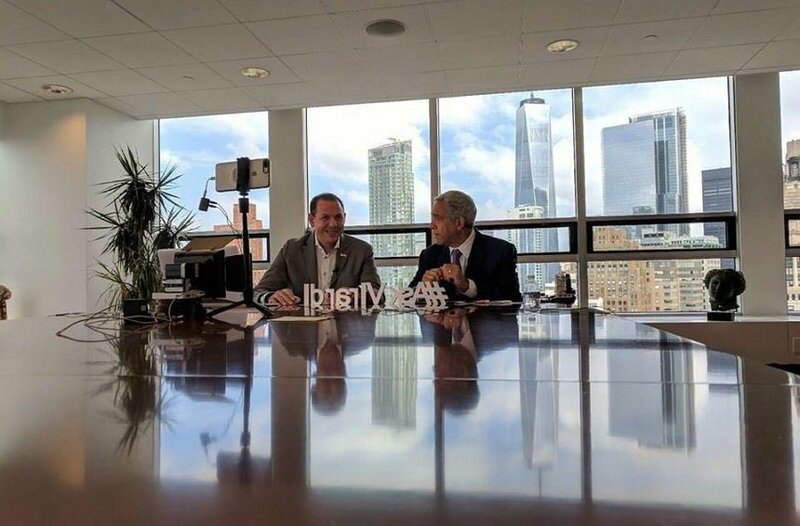 His experience with Jeffrey Gtomer, an internationally renowned sales manager, changed his life: “I heard him talking in the USA and I was stunned. I said, then, that I wanted to become like him. I asked him what I should do to achieve that. He told me that I should study for 10 years what I want to achieve. Thus, he said, I would be acknowledged in my country within the first 5 years and worldwide within 10. I bought his books, I listened to his tapes in the car and sometimes I even cried listening to him”. Right after this acquaintance, he started applying a schedule of training seminars for the staff in the family business. “Everybody was attending the seminars, from the administration to the cleaners. Every Monday, for 7 years, I would conduct 20 – 30 minute seminars in groups. At some point they had a voting to make the seminars stop. The lost, though”, he explains, laughing. 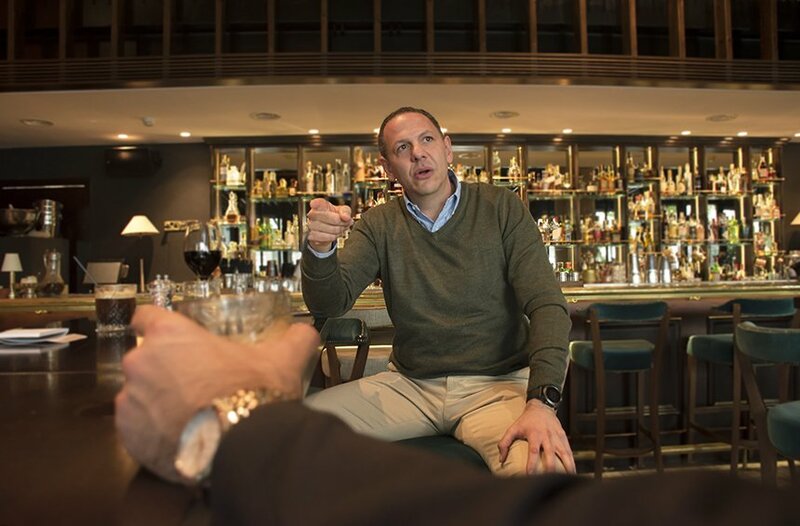 Even if you disagree with him or question what he says, the discussion with plethoric Michael Virardi, who speaks passionately and lively, in an expressive manner with a lot of gestures, is always an experience. Don’t you ever get disappointed? My moto is that anything can be reversed. Even if something goes wrong, it is just a bad day, not a bad life. A bad day of mine was one 6 years ago, when I was mis-diagnosed with cancer, after a check-up. I was left in that impression for 3 days and, until they were over, I could not smile, no matter how much I wanted to. I was afraid. I went to the beach and I was walking by the sea, just I did not want to lose my life, I love life a lot. I was hoping for a mistake on the doctor’s behalf, but he was so certain for his diagnosis, he was trained in Germany and I was a regular at his office, so I trusted him. Every conversation with Michael has humor and in it, like the “joke” about his business cards, which he rarely shares with people these days, since the cost 4-times as much as the ones he used to print did. It wasn’t that tragic, though. When those 3 days passed, and I found out that I did not have cancer, all of this was over. The hard part is when people with cancer must deal with it. Bad days will go by. The issue is to deal with them properly. No matter what happens, the days will pass, you will wake up, go to the gym, to the beach and you will be fine. Have you always been so positive? It seems like it, even though I did not really know. A friend of mine, Christis Potamitis, reminded me of a letter I had written to him in 1994 when I was in Germany, learning the language and I was enthusiastic about my experience there, writing about it in 4 out of 6 pages in total, with nothing but positive impressions and comments. With this letter, Christis pointed out that this is how I have always been. Is your passion something you have made up? No, it’s not made-up. I can be like this even after several hours in a workshop. I feel what I do, and this is where passion comes from. Therefore I have said no to may offers with large amounts, because I did not believe in them. Michael did not hesitate to try different things – even modelling in a very young age – until he found what he really wanted to do. Is a positive attitude something you had to work on as a tool? No, it could not be a tool, because at some point it would come out as fake and the mask would be off. Positive attitude is a part of myself, this is how I feel. I am like this because I enjoy it. If I don’t enjoy something, I have to change it. My father told me that every day I have 2 options: to be either positive, or very positive. I think that positivity is more appealing to people. So, why are there so many negative news, for instance? People would like to hear positive things, instead of negative ones. For instance, with the occasion of the recent elections, personally, as a citizen, I would recommend to Nicolas Papadopoulos to be congratulate Nicos Anastasiades in public for those 2 – 3 positive achievements of his presidency, instead of adopting a negative approach. Malas, for example, was much neutral in his approach. Which was your first job? Nikos Kirzis hired me to train his team for the spa he was opening back then, He was the first one who believed in me and gave me the opportunity to begin my own business. Afterwards, Aristodemou was also very supportive, for whom I was hired to conduct 1 seminar in Paphos and I ended up with 30 of them. It is important to be good at what you do, not necessarily the best, though. I don’t like to hear from someone that they are the best. The important thing is to be prompt, the fastest, as well as a to know your job very well. Did you learn this at the university? Yes, I did learn some of these, because I was studying business administration, but I also had some psychology classes, where I learned about Pavlov’s dogs (how they were trained to expect food at a certain hour of the day). This knowledge did help me afterwards for the seminars, whilst the knowledge about businesses not so much, since many things changed in the meantime. So, you are familiar with manipulating people’s psychology? No, this is not what I do. At the seminars I pay attention at the image I present on the stage, but I also want to inspire a feeling. At sales, the important thing is to gain the other party’s trust, to listen to them, to make the right questions first and to be a consultor towards them. If you ask me “how much does this cost” and I answer immediately with a price, I will not make a sale. But if I ask a few information about your needs and be able to suggest a product that will actually respond to them, then I will have gained your trust. You must make the other person realize the true value of your product. If you present it based on one’s needs, then price will not be as important. If something is useful to them, any price will be fine. Are you good at selling yourself? I don’t like the word “sell”. It does not fit what I do and who I am. You can’t sell, you make your product attractive enough for someone to ask for it. The most important thing is to create good content, so that someone can find out through this, who you really are. 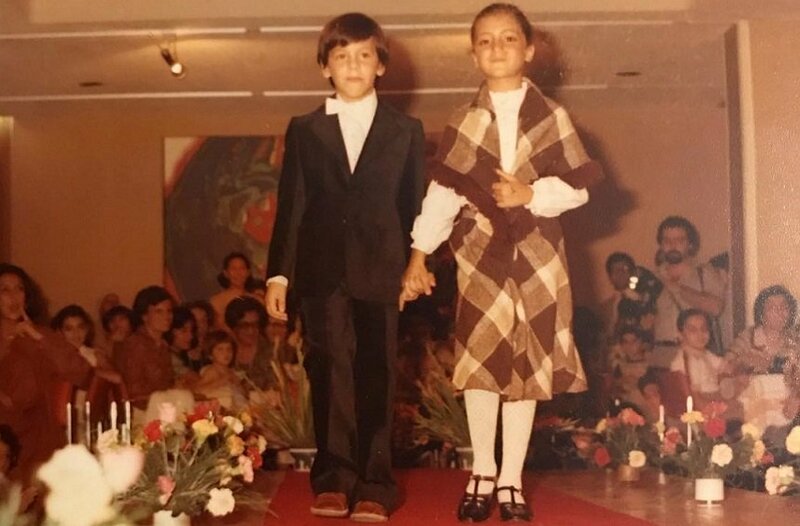 At his first steps as a businessman, Michael was walking along with his first mentor and father, Rolando G. Virardi, and his brother, Giovanni. So, aren’t all your efforts aiming to a sale? Your major effort is to build your website, your image, to make people understand what you provide. Important collaborations have happened to me because of my website. My father was saying that someone may have something positive, something negative or something neutral to say about you. The negative and the neutral ones are both damaging you. You are responsible for the positive memory you leave behind. This is how I promote my work. Someone may not hire me, but I will still have left a good impression behind, for my honesty, attention and sincerity. Is this why you pay attention to your looks? Yes, I always make sure to make a good impression. For that same reason I was in a seminar once, wearing short pants and then immediately changed to my regular outfit, to showcase how differently I would be perceived, even if I was saying the same thing. From his visit in Hong Kong for one of his greatest, professional deals. Are photos and videos, your photo on your books a way of selling more? All these elements are the means to give value to my work and make someone want to buy my services. You don’t have to strive to convince someone to buy, if you have a proper image all set. Henley & Partners paid a quite large amount of money to buy one of my speeches they had seen online, in my website, for instance. So, you think that a sale under pressure is bad? Yes, this is not the pressure you should apply. The church sells itself by ringing the bell on Sunday, for example, but it must be done in another, a proper way, speaking in people’s language, to help them understand what it really stands for. If you are going after someone to make them buy, you will not have the results you wish for. You should not be a hunter, but a fisherman. Which countries do you collaborate with? I had collaborations in the USA, while there are people from Switzerland and Ireland coming over for these seminars. The USA have always been my dream and I was extremely happy when I made this deal. Afterwards, they told me that I presented the priciest offer, but they still hired me, without any discount. Does a high price make your work more valuable? Not always. The first time I was about to seal a deal, I asked for a price that seemed extravagant, for someone who was just starting. Thus, the deal was off. My father had told me that if your price is too low and you are good, you will never raise it, but if it is high and you are not good, it will go down. So, he told me to have a high price and be good at what I do and patient, until my work is acknowledged. Eventually I closed a deal with another customer in that price. Even now, I still follow that same approach. I won’t lower my price under any pressure. Can someone maintain high prices in the middle of austerity? Austerity is something you need to deal with. Now I get more negative responses than positive ones, but I prefer it like that and have time to prepare my presentations in the best possible way. Also, I would not find it fair to charge my clients abroad with prices triple as high, than the ones that apply locally. Do you introduce yourself as a man from Limassol of Cyprus? My father used to say that I should present myself as Michael Rolando Virardi and let people think I am Italian because “sometimes, they don’t take us in account, coming from Cyprus”. Of course, I could never pass as an Italian, since I do not speak the language at all. Personally, I feel more like a Limassolian and a Cypriot, than Italian. In the USA, I say that I come from Cyprus and they think that its is a cypress tree, or something. Even the ones familiar with the country, do not take in account, though. At some point, an American businessman (who was interested in buying shares of my company) told me that I should move to New York or London. I had the opportunity to do so, but I didn’t. I can travel a lot, to New York most importantly, which was a life-long dream, but I don’t want to be away from home and family. The first time I spoke to Swiss Education Group abroad, they introduced me rather indifferent. If I was from Canada or London, this announcement would be much more impressive, emphasizing in the name and the country of origin. The second time I spoke there (when they put me in Freddie Mercury’s suite, which would cost much more that I was charging), the introduction was upgraded, including my full name, my identity and my country. It is hard to be coming from such a small country and try to make it out there. What was the Limassol “branding” operation? In mid-2011, 7 businessmen of Limassol, who shared a common vision about the future of the city, got together to follow the advice of the expert Peter Economides on the promotion of a city, in order to create the conditions for Limassol to seize opportunities in the middle of the financial crisis. Christos Mouskis, Costas Galatariotis, Spyros Spyrou, Costas Lanitis, Alexandros Tsoulouftas, Michalis Loizides, Michalis Virardi, each one successful in his field, met to identify and invent ways to bring out and promote the real value of this city. "We knew what the city's advantages were, but we didn’t know how to prioritize them and how to show them organized so Limassol could benefit" Michalis explains. In cooperation with the local authorities, these entrepreneurs paid the amount of €100,000 for the cooperation with Peter Economides, but the effort was left in the middle. "We had not figured out that for something like that to continue, we needed about €1 million for the production of the material," he adds. "We didn’t fail completely. We made a good start for the creation of the brand, of Limassol’s image", he concludes. What is branding, after all? It's something like marketing. It has to do with how much, but also with how someone knows you, or has connected you to his mind. It is your identity. Thus, if you have an identity, can you do branding with it? If you have an identity you will do branding, you will build a strategy. If you do not have an identity, you must create it. “The beginning and the end is the production of the right material, which will have a consistence, it will create a myth, a story, an identity”. Having a specific identity, helps branding? Everything matters. It is important the image that you will show. When I started collaborating with KommiGraphics, a Greek design company, and they were analyzing the use of each color or even the selection of the font on my site, I didn’t expect that they would be so important. Branding needs a lot of work to be built and a great attention to the detail. Because on the one hand is the difficulty of building a brand and on the other is the issue of making clear this identity to everyone's consciousness. Perhaps the most significant thing is to stay true to the values you stand for. If, eventually, someone is not capable of achieving this, then he should seek help from the experts. Is it easy to build the branding of a city like Limassol? No, it is not easy, and the effort we made in 2011 has shown it. The beginning and the end is the production of the right material, which will have a consistency, it will create a myth, a story, an identity. It's what All About Limassol does (as the Official Source of Limassol promotion) and it does it very well from the day it started and with low cost, too. Experiencing the advantages of Limassol every day, Michael knows that the city and its people deserve to recognize and to show even more its uniqueness. 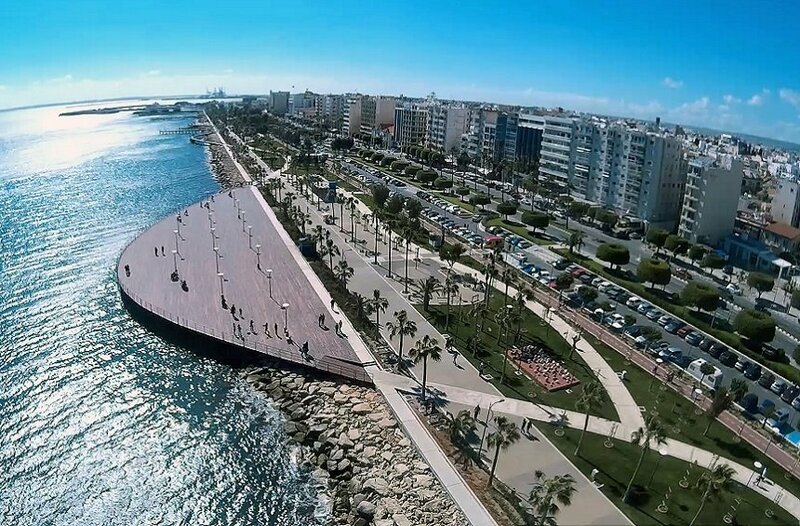 We saw some great videos from All About Limassol, such as the one that showed the 2 sides of Limassol, the relaxation and the intense entertainment, which really comprehends the city's image, creating feelings and impressions. That’s why I acknowledge what All About Limassol does, because I know from my work that this is not an easy job. 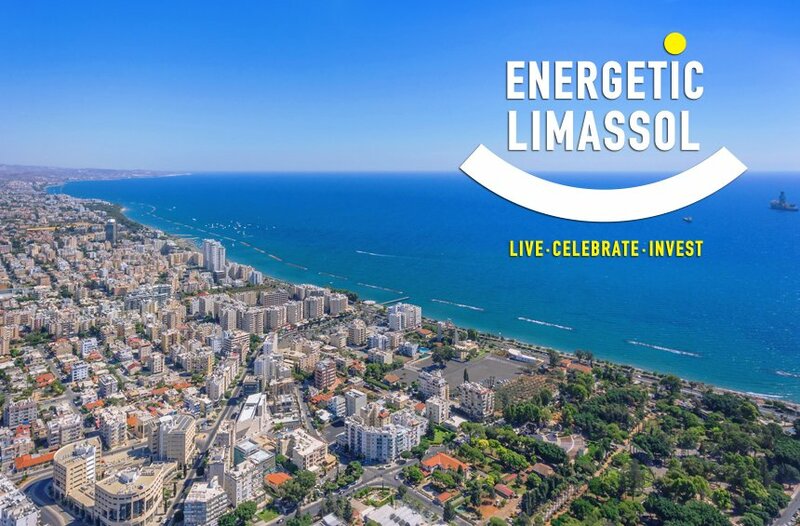 Do you believe that in the case of Limassol there is the value that can become the context of the branding? I’m not an expert to the cities or countries branding. For that reason the expert Peter Economides had come in Limassol, making a first effort. But considering that many people are coming in Limassol again and again, and the fact that so many Russians choose to stay here permanently, then probably there is a value. 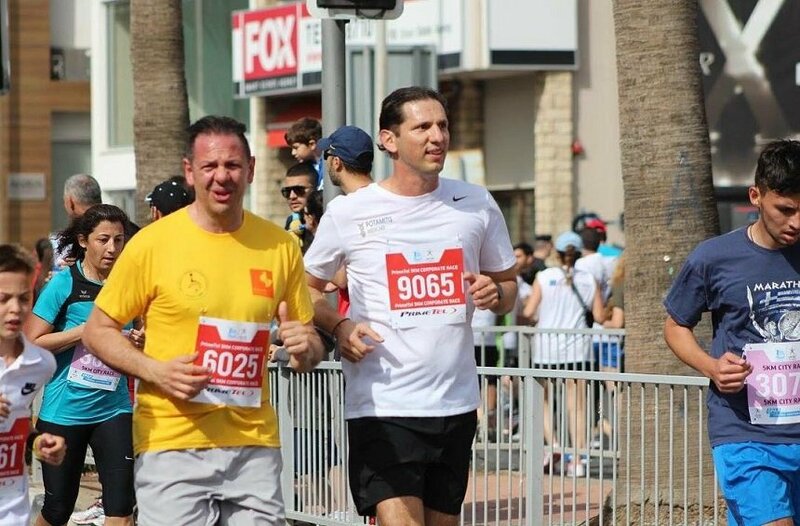 Working out and running is part of his daily routine, thus the participation in the Limassol Marathon was something natural. Limassol is a paradise to me: short distances, tranquility (if you see the speed with which people walk in cities like New York, you understand how much it worth what we have here), a demanding city that does not exhaust you, though. As for foreigners, they have surely found here a strategic basis for economic activity between 3 continents and we have to highlight this too. 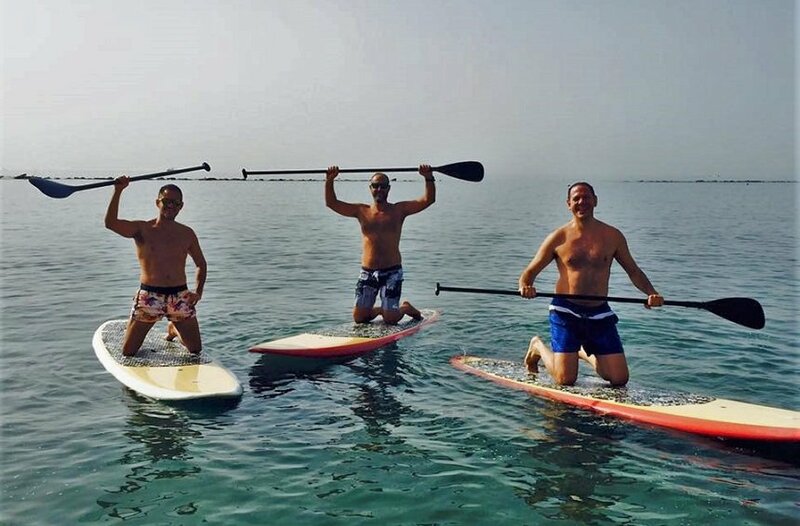 That's why what All About Limassol does is a great project, because with the foreigners, we, Limassolians, get to know our place too, from nature trails and sights to entertainment venues. So, is it a tool for the locals first, the Official Limassol guide? Yes, I do believe so with great certainty. And yet there are many more who don’t know it, therefore there will be a lot of people who will soon discover its usefulness, and you should be proud for this. Why is it useful for the city to build its own branding? Because everyone benefits from it. 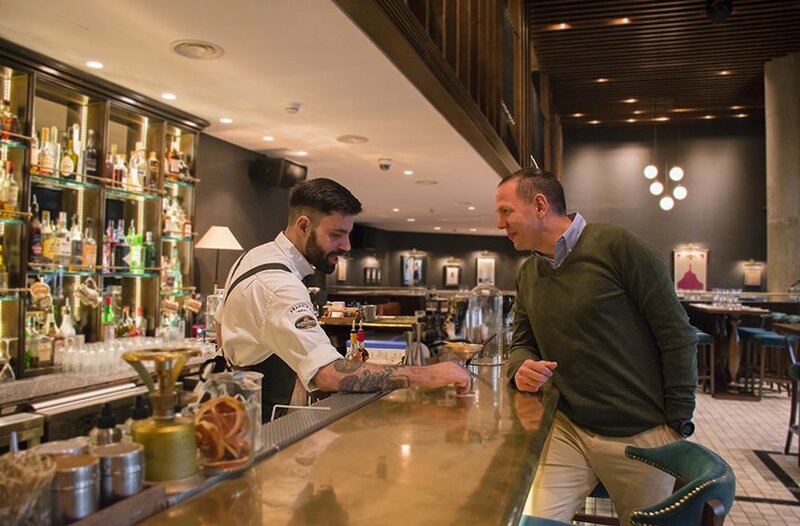 Guests arrive in Limassol, stay in our hotels, then come to eat and drink, restaurants and hotels are refueled from the local market, they recruit staff, advertise, move the Media and all these, make a circle. 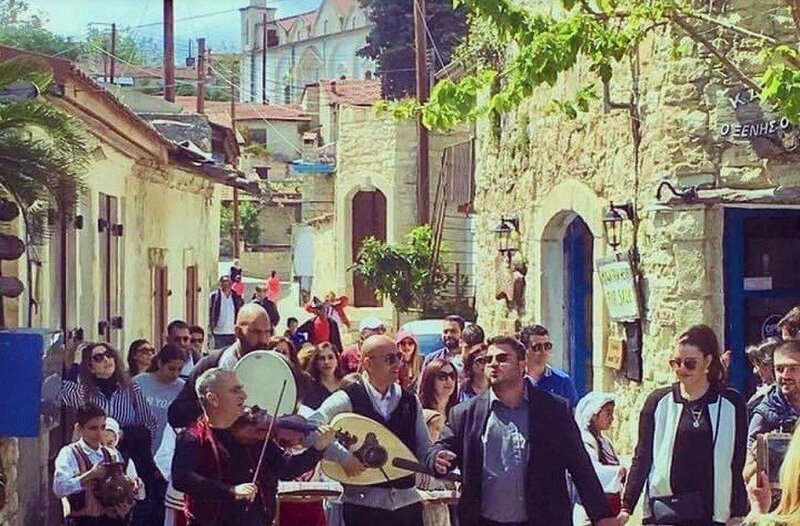 But also the locals who will be informed by All About Limassol about a nature trail, for example, and will put their family in the car, put gasoline, go to the countryside and then choose a tavern in a village for dining, this again move the economy. The benefit for the economy from branding is immediate. The entrepreneurs who put money out of their pocket to make that move in 2011 have done this to give that impetus, but also because they really love their city. Besides, they are so successful that for them it wouldn’t have a big impact if the local economy would rise 5%. When you have to talk abroad about Limassol, what do you say to the people? Definitely the sea is the first advantage I mention. Once, when I was in America, I told the people I was a winter swimmer and I entered into the Atlantic during the winter time. I immediately stepped out, breathless from the cold, and I recalled. We have other temperatures in Limassol, it's almost summer all year long. 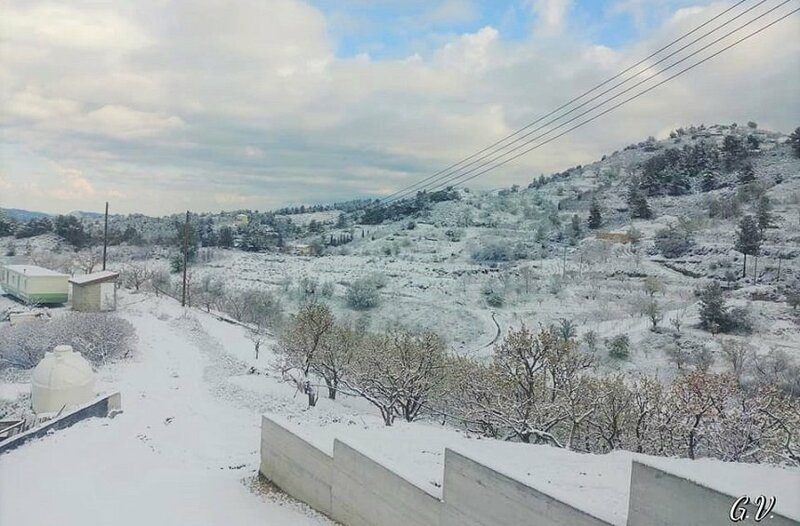 It is very important, however, that over the good weather, we have the snow in Troodos and you can go skiing in half an hour by car. 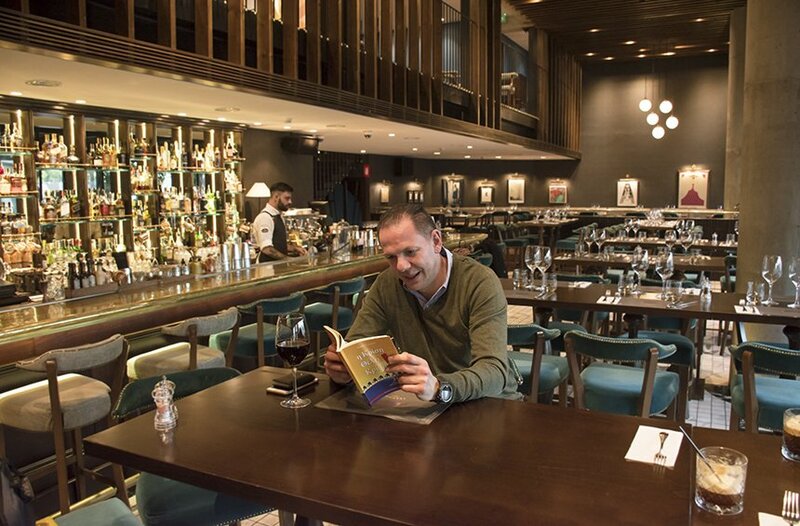 “Our hotels are a great advantage also, as well as the exquisite restaurants, because from a gastronomic view, I consider that they are among the best of out there. Like this bar that hosts us today, I would see it in London too”. Do you single Limassol out among the other cities in Cyprus? When I’m abroad, I speak about the whole Cyprus. However, Limassol really stands out and I realize this more and more, while I grow older. Perhaps, when I was younger, I wanted to go more often in Nicosia, but now I prefer to stay Limassol. I’m not a fanatic local, but I do recognize the benefits of the city. Anyone would feel this, if he was in Limassol. 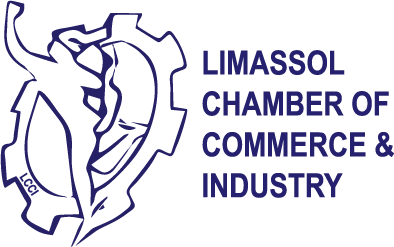 Have you seen improvements in Limassol? Yes, of course it has been improved. And the initiative of the creation of All About Limassol, which makes me discover new and interesting stuff that I didn’t know all the time, makes me feel more proud about my city, as proud I feel about anything innovative or pioneering. What do you enjoy in Limassol? Waking up every day with running along the sea and swimming, it’s for sure a great pleasure. From 5:30 until 7:00 in the morning I found myself at the seafront, opposite the Zoo. That’s how my day begins, right next to sea. What bothers you in Limassol? The way we drive is really annoying, till dangerous. On the road no one can be safe, neither the driver, nor the pedestrian or the cyclist. Furthermore, the fact that some people pollute the sea with waste is outraging. Normally, there should be a permanent police watching around the area, stating to those who do it that there would be penalties because they cause a great damage in Limassol. We have seen, while swimming, from feces to dead mice and all local authorities are responsible for this. Because, Limassol may see benefits from shipping, from the boat traffic in the area, but if something harms you can only fight it. Why do you believe that nothing is happening to deal with this pollution? I think in Cyprus the right measures are not equally applied everywhere. Since we, that we are in the area, see such images every day, it means that someone is not doing his job properly, that something is not working well. And people should react more strongly. We strongly react to the fan card, but not for other issues. That's something I cannot figure out in our mentality. Did you ever felt shy for something in the city, when you were hosting people from the abroad? Yes, I feel bad about those smudges that are seen everywhere around us by the fans of some groups who paint on the walls, on the labels, etc. It is a matter of consciousness, because even if you set monitoring cameras, most likely you will see people with hoods and it will be difficult to arrest someone. He considers Limassol a paradise, admitting though that flaws are not missing, mainly the ones that has to with the way people live and behave in it. I think they do. It just may be different grades of the way someone love Limassol. Perhaps many of them do it theoretically, they support this only with words. Perhaps some others don’t even know what does it mean to really love your place, to be proud of it and exposure it. We often stay with the numbers and the statistics, with the awarded prizes, but we don’t see the essence here: the security that the place provides you, the pleasures, the quality of life. Here is where the matter of branding enters. Branding may have an impact on many things, to the way we perceive ourselves, but also to the way others see us. A characteristic example is the case of the occupied Cyprus. 10 years ago, when I was abroad, they would ask me about the occupied Cyprus. Now, after a very strong promotional campaign that the occupied side conduct, with videos, advertising and others, people ask me if I am from the Greek or the Turkish part of Cyprus. Is Limassol an expensive city? Yes, in many things is expensive. But something like that it’s logical, since you attract many foreigners and especially wealthy ones. 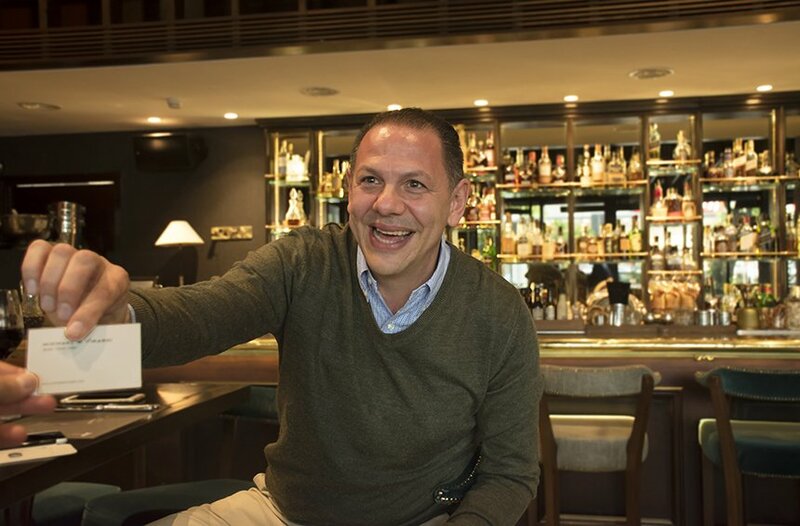 Michalis admits that as younger, would often seek to visit Nicosia, something that no longer feels the need to do, since Limassol provides excellent entertainment options, like Frankie’s Social, the restaurant-bar where we met for the interview. Would do you like the city to be less expesive? 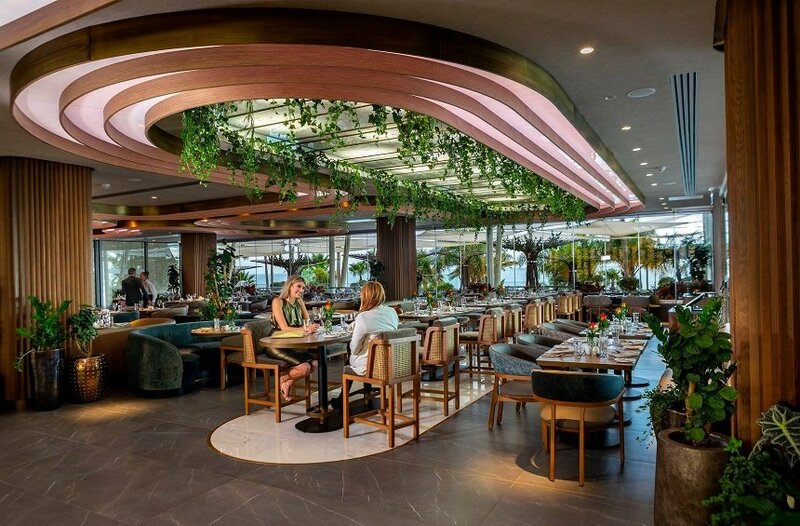 I don’t think it may change, but certainly I would like to see the more traditional options having the same quality with the cosmopolitan and perhaps the most expensive side of Limassol. 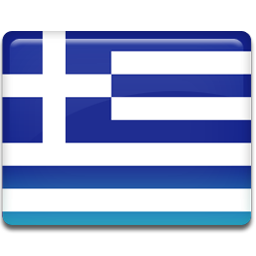 That is, I would want more Cypriot taverns with excellent quality in food and in the service. In Greece I can think 10 places like this, but in Limassol I don’t know something else other than Forsos tavern. 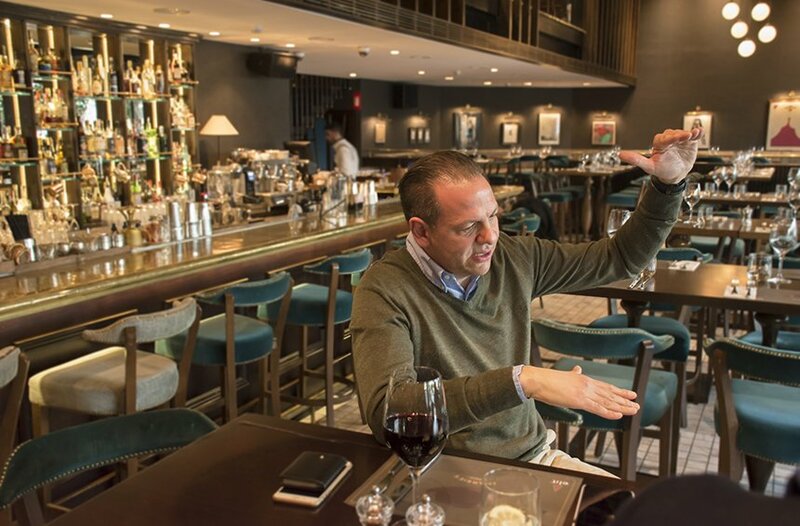 Forsos tavern is really something else and I much appreciate their work there, although they are not Virardi's customers, because we are not from Famagusta (he laughs). But it is so great that I would like to present it at some time. 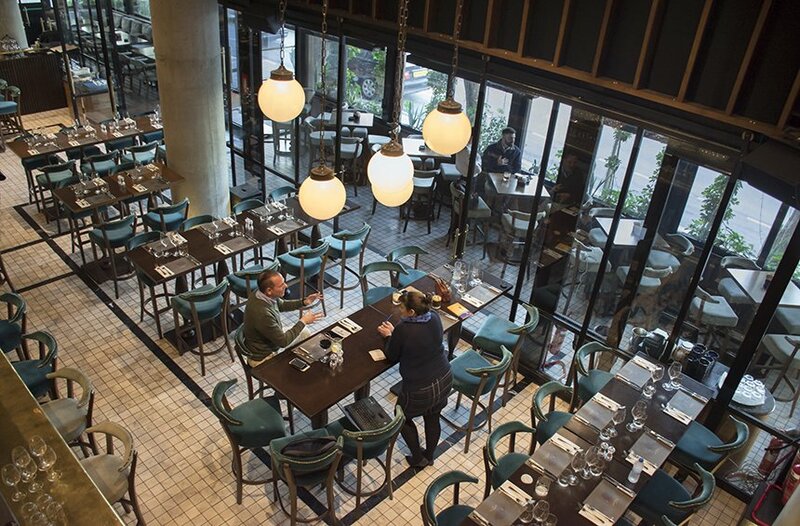 Very good work is done at Yasemin too, the restaurant that opened in Agiou Andreou Street, which I didn’t expect to have such a quality. I also enjoy the duck in Zen. Of course, at the Four Seasons, the Chinese restaurant is amazing. Is there a problem of professionalism? We have an ego problem, we don’t’ accept criticism. For the product of your work to be good, it must be recognized by the people as such. If this is not happening you must find a way to achieve it. In that way we improved the work to our family business: we were listening to the complaints and to the comments1 by 1, eager to respond. This is the only way to show progress. 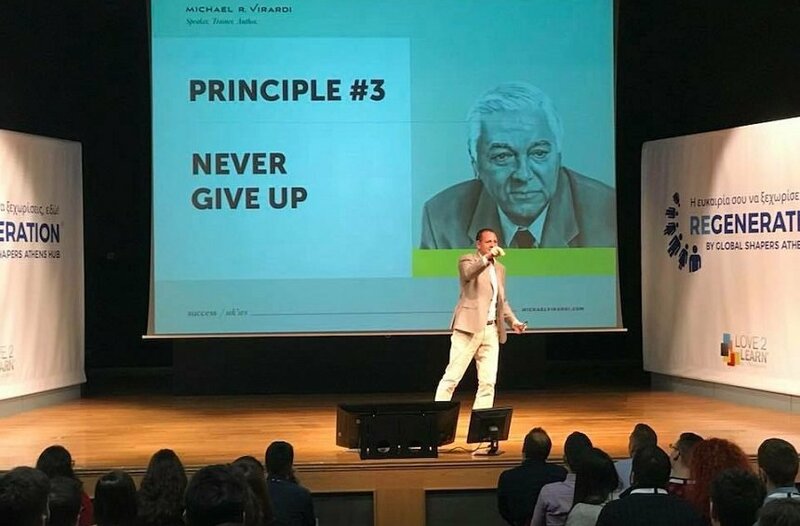 With seminars and workshops at universities and large companies all over the world, Michael R. Virardi sure is the only Limassolian — and even Cypriot — with an international career in his field. 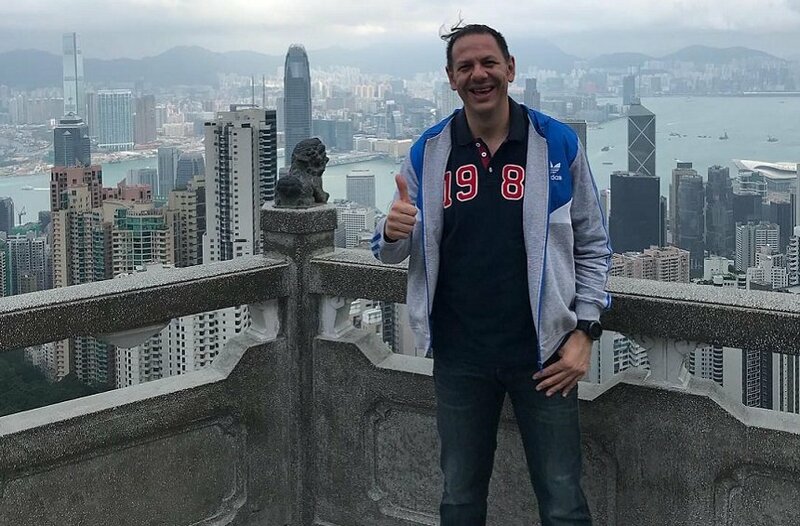 Michael R. Virardi knows that he lives in the era of images and he seems to have won in the race for making it in these terms, using photography and video to promote his company to the extend that it reaches the level of international completion, not just local. He is the man that know, out of a personal experience, of the great importance of a representative image that will showcase the value of a person, a company or a city, according to what people ask from it. Yes, there are cities far better than Limassol out there, as there are entrepreneurs far better than Michael in his field. But, just like a young man from the minimal Cyprus, managed to have access in large audiences abroad, so can Limassol find the audience looking for an ideal destination for residency, business of entertainment in it, a destination much more suitable for them than other, popular cities. If a man alone made his own name an international brand, could you just imagine what a city full of creative and active people could do?